Photography is often taught within art, craft and design GCSE and A level specifications but many practitioners and historians would dispute its place there, preferring to think of it as a vocational discipline. Photography is a multi-disciplinary subject with its origins in science. Photography is bound up in the history of technological innovations, from the invention of the Daguerreotype to the digital revolution. Each new technological breakthrough has shifted the way we see and represent the world photographically. Photography is a democratic subject. Almost everyone is able to take a picture these days and the sheer scale of photographic picture-making across the planet is overwhelming. Photography is therefore all around us. Students see numerous photographic images every day, many of which advertise products, services, lifestyles and ideologies. Being aware of the ways in which they are being manipulated, what might be called the visual literacy argument, seems even more important. There are, of course, many other pressing arguments for the importance of photography literacy. I have been teaching photography for over 10 years. I was trained as an English teacher and came to photography with a background in art history and an amateur passion for taking photographs. I have taught photography in the context of a BTEC media course and as a GCSE and A level. Each context has affected the emphasis in my pedagogy so that I have taught photography as a vocational discipline (with a focus on documentary and commercial practice) and as a form of visual art (with a focus on creative expression). In recent months I have been thinking hard about my pedagogy and the affordances provided by the GCSE and A level photography courses for students at my school. 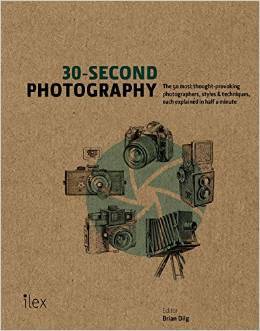 What are the threshold concepts that might enable students to develop a secure understanding of photography? 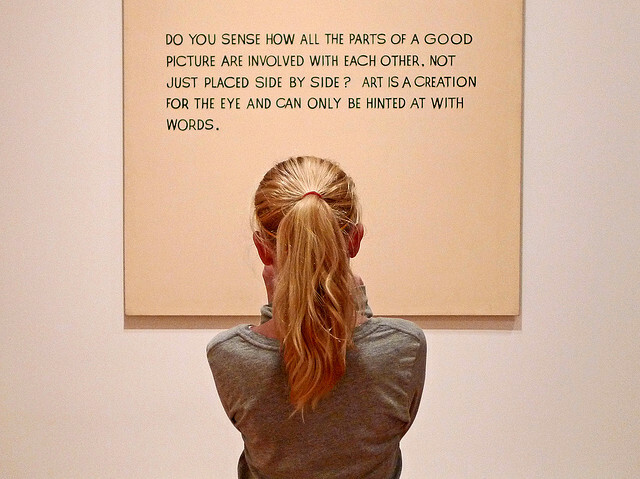 What is the right balance between knowing that and knowing how to in photography? How much knowledge of photography history is desirable so that students are able to contextualise their own creative products? How much knowledge of technical processes and understanding of photographic technology is important, especially processes that are rapidly becoming expensive and obsolete? Each of these perspectives raises really vital issues about the nature of photography pedagogy. Frances describes the therapeutic qualities of the medium and its ability to give shape to the personal imagination. Anne-Louise identifies the capacity of photography to explore the crucial difference between looking and seeing. John reminds us of the ground work that should be done with photography students, the explicit teaching of traditional processes so that they are able to understand the historical context for their (mostly) digital practice. Sophie's tweets identify two key concepts for photography: time and light and she reminds us of photography's disruptive power. I particularly like her phrase "learning with light" as a summary for all photography pedagogy. Chris draws attention to the creative potential for photography and its ability to challenge conventions in his notion of "serious mischief", not to mention the fun that comes with experimentation and divergent thinking. Susan's tweet emphasises the responsibility to create and analyse the power of photographic images so that their meanings can be understood by artists and viewers alike. 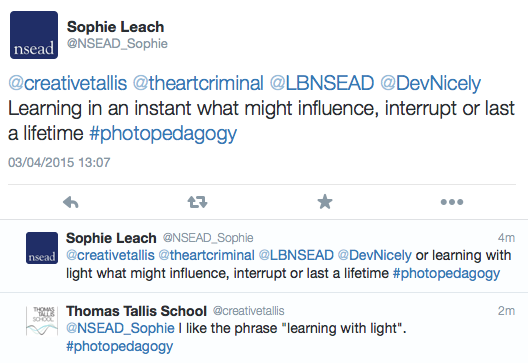 This diversity of views about photography pedagogy is, in my view, a real strength of the subject. What concerns me is that photography teachers may find themselves fairly marginalised in schools and colleges and unable to debate these issues with colleagues. I am not surprised that new photography courses seem to be springing up across the country. After all, young people have an unprecedented access to photographic technology particularly with the advent of high resolution camera phones and a growing marketplace of mobile apps. Organisations like the NSEAD and wonderful teachers like Susan Coles are busy nurturing the development of colleagues new to photography teaching. Those of us who have our courses available for perusal online receive regular emails from teachers asking for support. There is a tremendous demand for ideas and information about photography teaching. I very much hope that colleagues across the country can collaborate more effectively so that we may all benefit from the wealth of experience and expertise in the photography teacher community. Of course, a key resource in the development of a successful photography pedagogy is our students. This year I have been conducting an action research project with the help of my Year 12 photography group. The aim of the project has been to explore whether the explicit teaching of key Threshold Concepts in photography can support them in developing their critical understanding. I have written about the development of these concepts in a separate article and I am very grateful to the colleagues who helped me refine and develop them. They are very much a first draft and I am keen to keep revisiting them to make them as useful as possible. Part of my research alongside the students has involved conducting a series of interviews with them about the course, what they feel they have learned, what they have found challenging and what they hope to learn in the near future. Their responses have helped me reflect on the curriculum in Year 12 specifically and have provided a useful corrective for my assumptions and prejudices about the affordances of the course. For example, they had some interesting views about the relationship between knowing that (declarative knowledge) and knowing how to (procedural knowledge). They valued the emphasis placed on personal problem solving and individualised outcomes but they expressed a strong desire to know more about how their cameras worked. They were unsure about needing to know more about photography history, especially if this came in the form of whole class lectures, but they were keen to know more about a wider range of historical and contemporary artists. They felt most challenged by the quality of their own ideas and wanted to know how to develop more and have confidence in them. Based on this feedback I intend to make some changes to the A level course this year, ready for next year's cohort. Photography is a foreign language everyone thinks he speaks. Dilg reminds us that trillions of photographs are now taken annually. Billions of people might be considered to be amateur photographers and yet the discipline of photography is arguably as little understood today as it has ever been. Rather than make photography more intelligible, the digital revolution may have further confused it. Developing a pedagogy that aims to demystify photography so that students develop a clear understanding of its Threshold Concepts is, for me now, an important project.